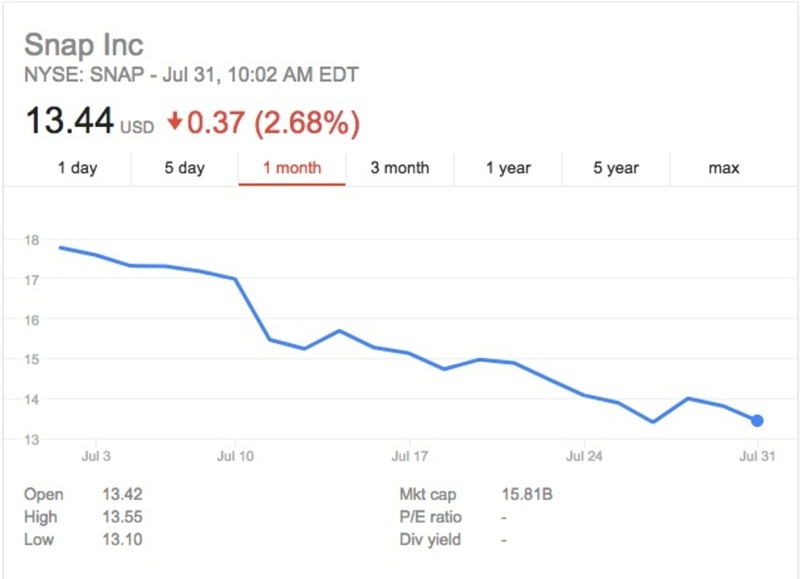 The lockup time period for Snap’s stock, which prohibited early investors from selling the stock for a 150-day period after its IPO, has expired and shares are currently down by over 2.6%. This could mean more bad news for the company, which has continually underperformed on the stock market since it went public. Many analysts, including Morgan Stanley—a firm that helped Snap IPO—have become more bearish on the company, noting its poor performance and likely inability to turn a profit for years to come. In the last month alone, the stock has plummeted over 23%. While this lockup period will likely affect the price in the short term (which commonly happens when these post-IPO periods expire), it may have an impact on the overall performance for quite a while. Compound that with next month, when more stockholders—including top-level employees—will be able to start selling their stock, and you can see how things may get even rockier for Snap and Evan Spiegel.